Adelaide has long had a reputation for sustainable living. With our celebrated Central Market and quality local produce we are renowned for clean, green and fresh food (thankfully, despite the State Government’s nuclear conversion, we are still better known for gluten-free cake than yellow cake!). Our city is also surrounded by a beautiful green belt bigger than New York’s Central Park, the Adelaide Park Lands. There are opportunities, however, to further cement our status as a leading sustainable city. We need to connect the lungs of our city to its heart by extending greenery from the Park Lands into the CBD. To this end, Adelaide City Council has allocated $1 Million for a Greener Streets program within this year’s budget. This will include new money for greening of Council assets through vertical and roof top gardens and increased greening will be a key component of asset renewals and street upgrades. Cooling our streets and providing natural insulation, this kind of work will make Adelaide a more attractive place to live and do business. It should also drive new design and architecture with long term benefits as our climate changes. We should also draw on our reputation for sustainable living to encourage new investment in green businesses and technologies. As our economy transitions away from coal and carbon, Adelaide should do all that it can to emerge as a leader in this space. For Council this means practicing what we preach and divesting of any investments in financial institutions that invest or finance the fossil fuel industry would send a powerful message that we are the city of green business. After all, it’s hard to position ourselves as a leader in sustainability when we still have ties to an industry that threatens the future of our planet. Economic transition is not just being driven by the need to protect our environment, but also by shifting consumer tastes. As retail and hospitality sectors across the nation grapple with changing market forces there is a role for Adelaide to play as a leader in this field, show-casing new ideas and businesses models. Rather than pouring cold water on food trucks, pop-ups, small bars and festivals we should be welcoming that kind of innovation, celebrating their enterprise and sharing their successes as a template for other cities to follow. As the festival state, we are the natural home of creativity and entrepreneurship. It’s in our DNA. Let’s harness the skills and energy of our creative industries and show the rest of the nation how it’s done. You can’t make the most of new ideas and opportunities, unless you encourage difference and diversity. Adelaide should be doing all that we can to build an inclusive city. This means celebrating and promoting differences in culture, sexuality, age and gender and ensuring that no one is left behind. While much has been made of Adelaide’s new ‘vibrancy agenda’ in recent years, not everyone has had a piece of the action. For instance, while the small bar revolution has opened up a smorgasbord of bars and eateries, how many of these are genuinely accessible by wheelchair? We need a new vibrancy agenda that is open to everyone in our city. A city that really involves all of its citizens in its cultural life, now surely that is very the definition of vibrancy. 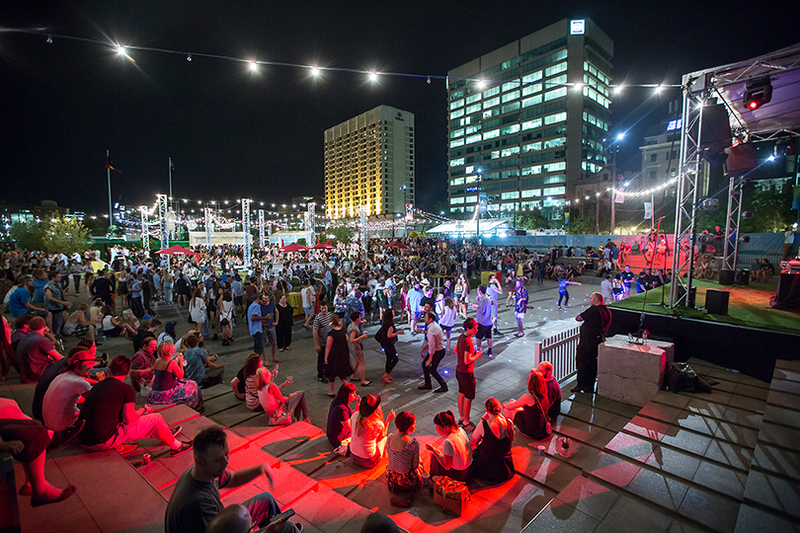 Adelaide is on the cusp of an exciting new future. By making the most of new opportunities in sustainability, creativity and diversity we can realise our full potential as a progressive 21st century city. This entry was posted in Media and tagged Access, Climate Change, Creativity, Economic growth, Environment by robsimms2011. Bookmark the permalink.